The Swyer Theater at the Egg Center for the Performing Arts is a quaint and ideal setting for laid back musical performances. 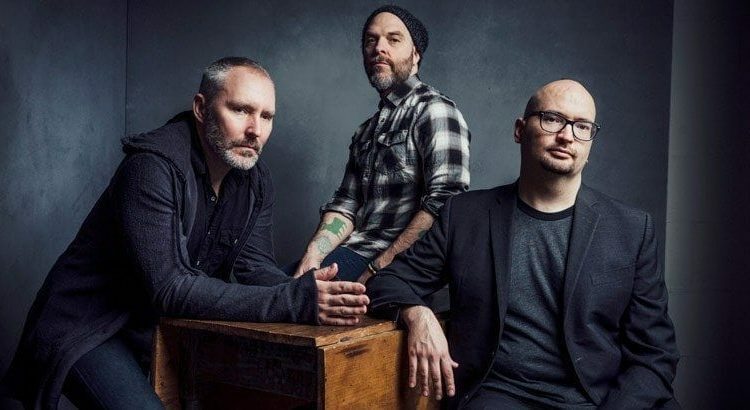 When The Bad Plus, a three-piece jazz band originally from Minneapolis but now out of New York City, visited the Swyer on Sunday, it was apparent from the start that the band really enjoys playing the room. It was a show of minimalism, as the only lights on in the theater were three dimly lit bulbs that focused on the band. The seating area was dark, and nary a sound was made from the crowd except gentle applause at the conclusion of each number. The Bad Plus are billed as an avant-garde jazz trio, but what they delivered on Sunday was far from the righteous, self-centered nature the genre often produces. Ethan Iverson handles piano duties, Reid Anderson plays the stand-up bass and Dave King provides the backbeat. Out of the gate King stepped forward and led the band on a funky acoustic exploration that saw a good deal of improvisation, especially from Iverson, who displayed a master ability to use a mix of space and fills to create a very unique mix. Throughout the night, Anderson would address the audience and give little anecdotes about what they’re playing. He spoke about how the group got their start by taking popular music, such as Nirvana’s “Smells Like Teen Spirit.” and tearing the songs down and arranging them in their jazzy style. I didn’t notice any such songs on Sunday, which added another layer of special to the very unique show. The Bad Plus have released 14 albums, almost entirely consisting of original compositions. Just before the encore, Iverson and Anderson linked up for a sort of rockabilly-swing groove that caught me off guard. If the audience hadn’t set the tone early on of high focus and quiet, I would have stood up and danced a little bit. The crowd showed its appreciation by giving a standing ovation that spanned the length between set close and encore start. I entered the show without any expectations for the band, but I walked out a new fan of The Bad Plus. Neil Benjamin Jr. has been a music, sports and news journalist for nearly a decade, earning a few NENPA and AP awards in that time. A recent career shift into the education field has allowed Neil to focus his work on his most fervent interest: live music. Melding his writing talent and music passion is dream come true for a teacher who has attended more than 100 Phish concerts.